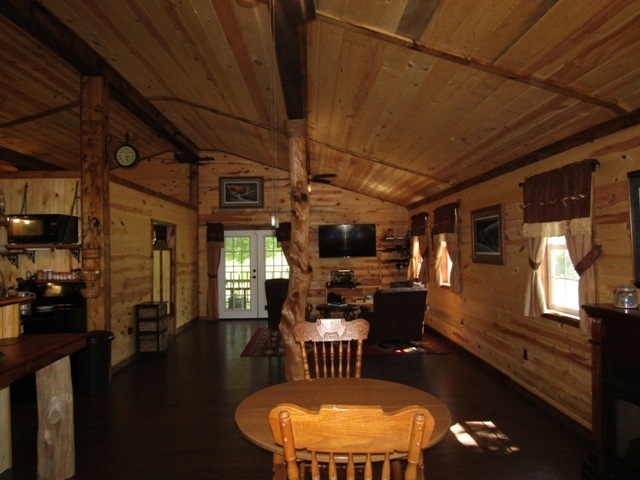 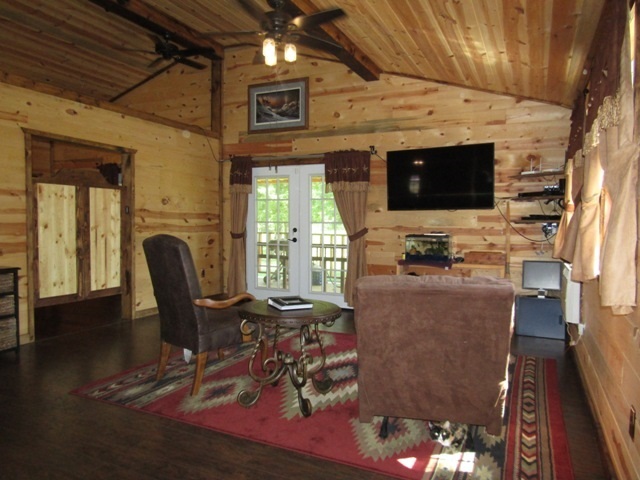 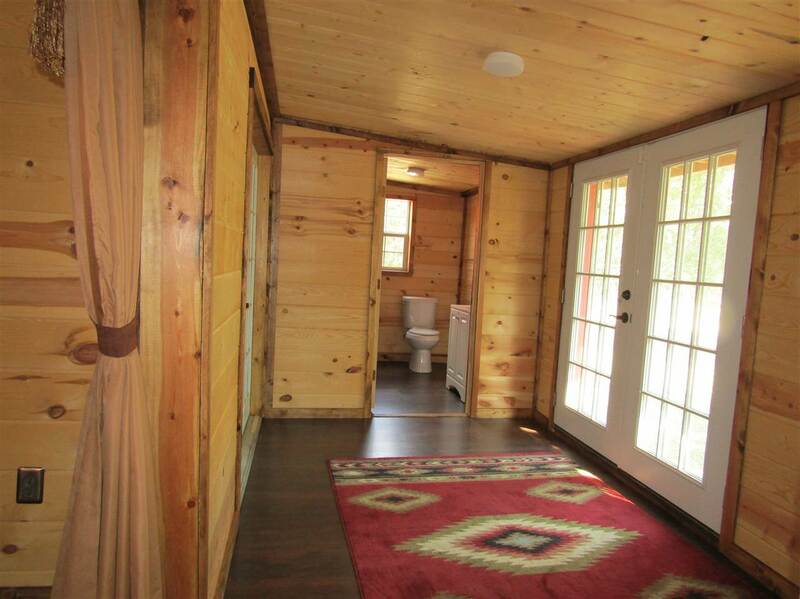 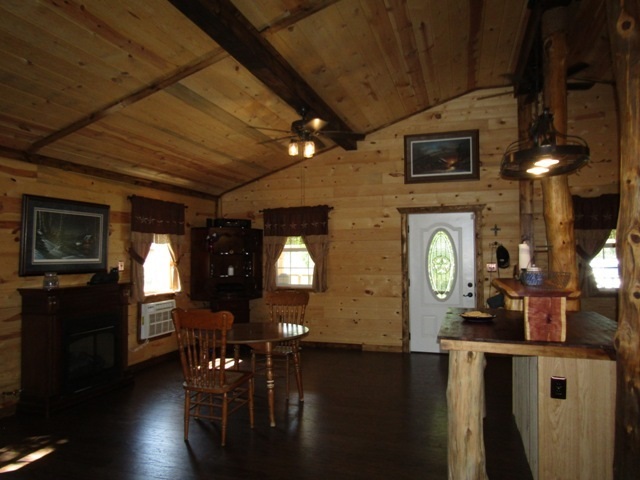 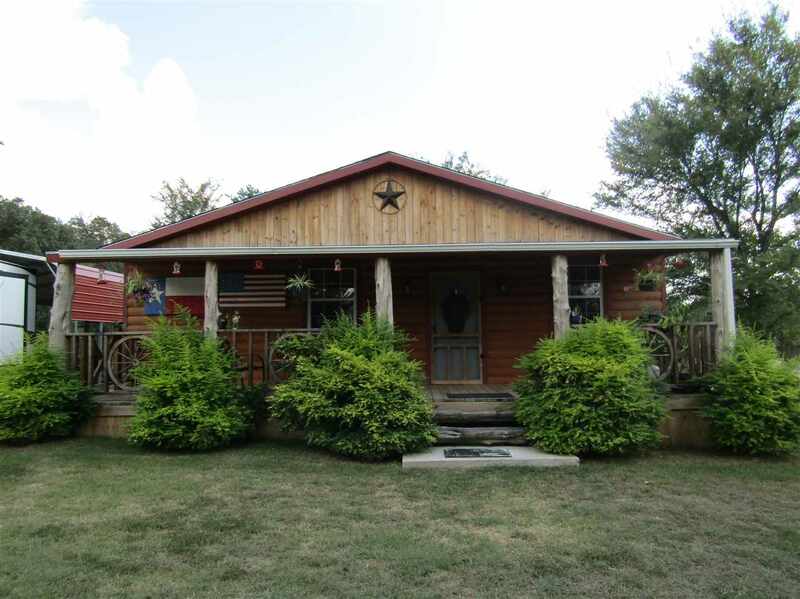 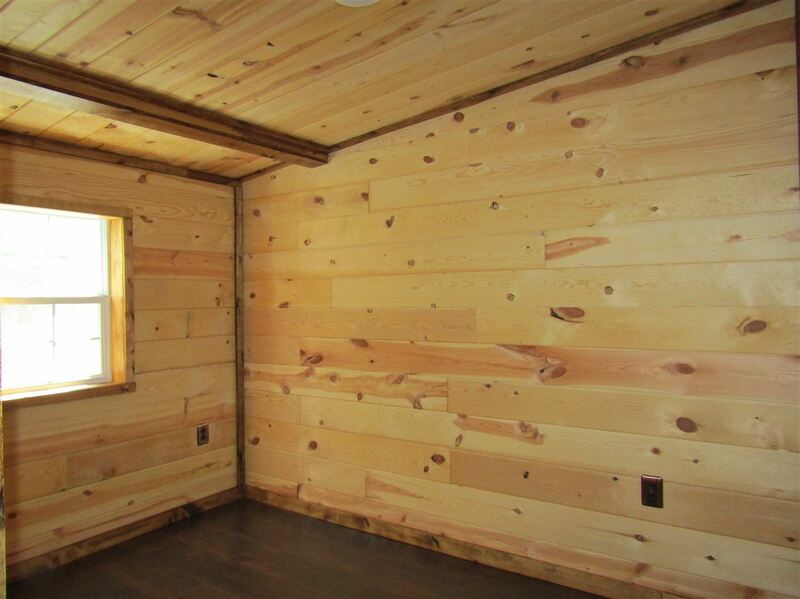 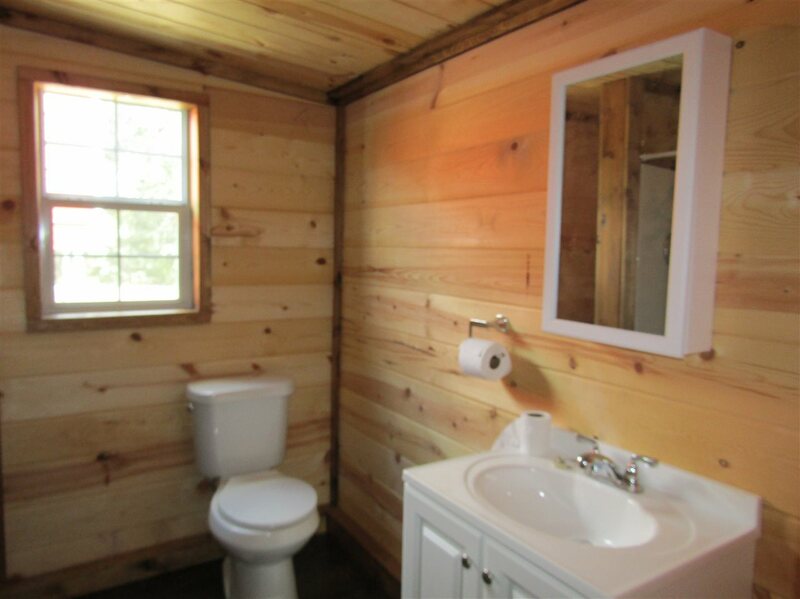 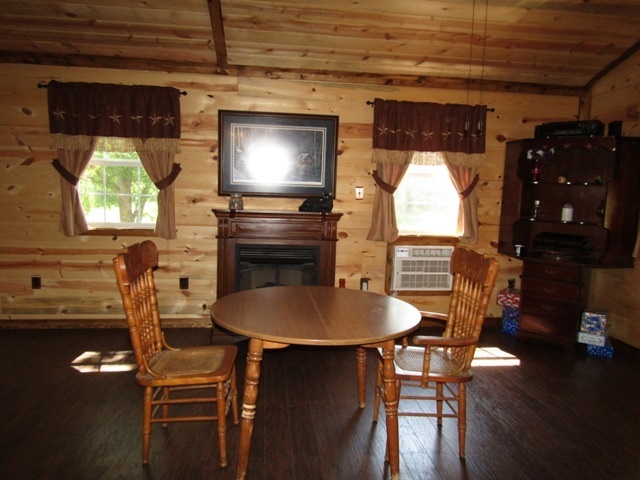 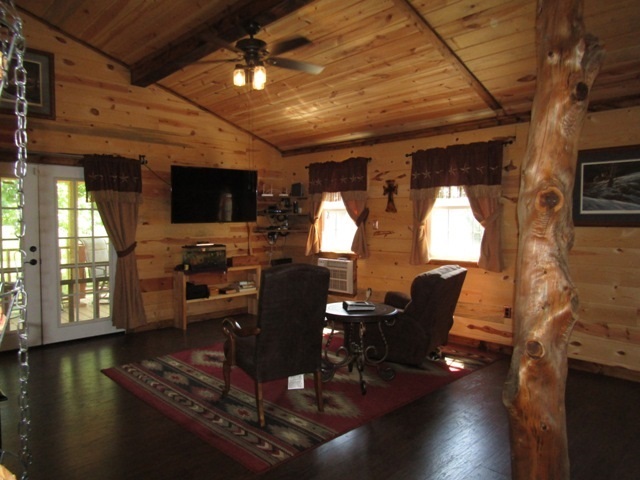 Adorable log cabin on 1 acre just north of Blossom. 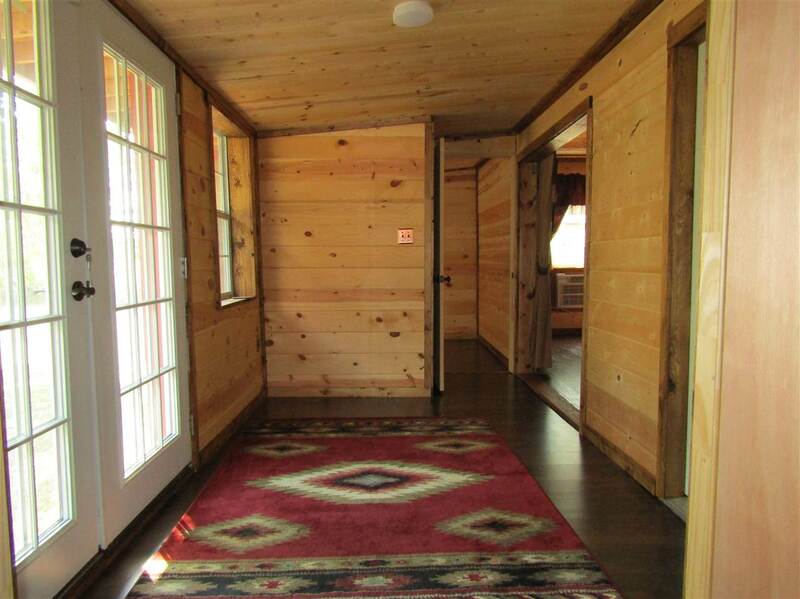 You will be in awe of the homey feeling when you enter into this custom home. 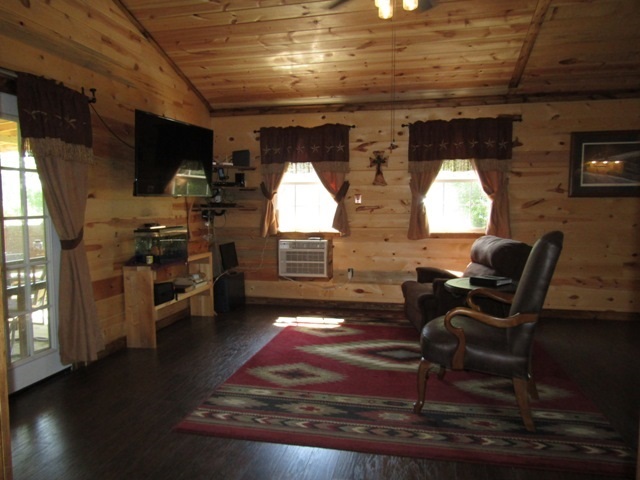 Built to last with energy efficient elements including, insulated floors, thermal barrier, reflective foil wrapped outer walls and E-vinyl windows. 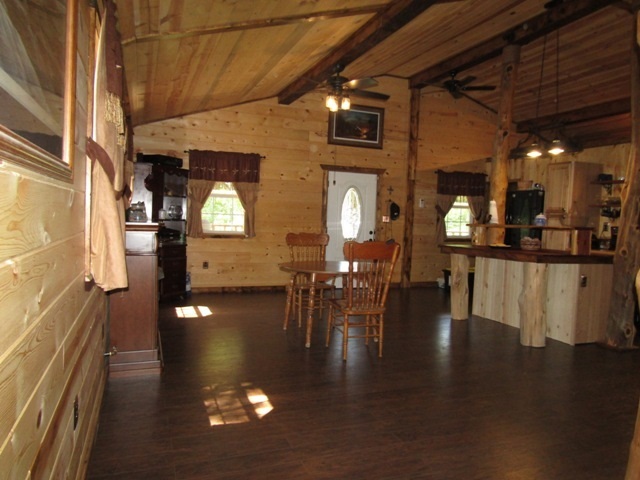 Open living/dining/kitchen, cathedral ceilings, laminate flooring. 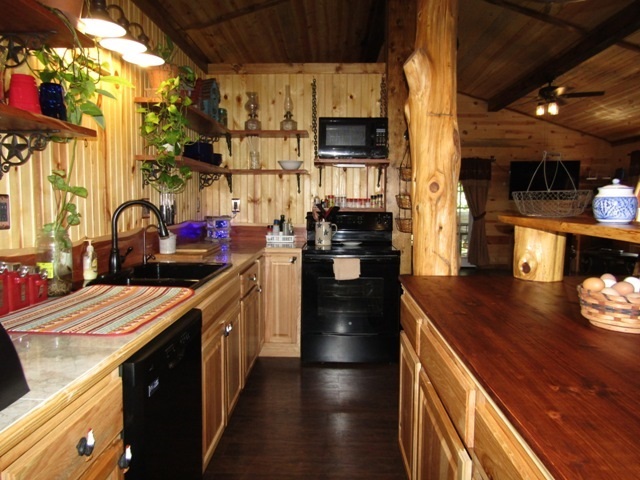 Open face kitchen with granite tile countertops, breakfast bar and new appliances. 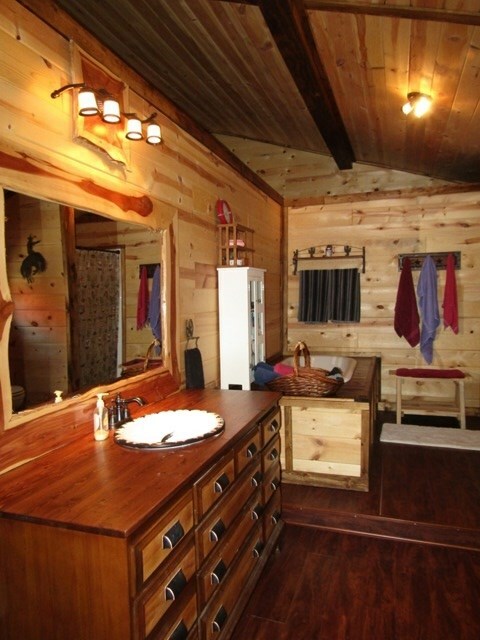 Master bedroom with oversized closet. 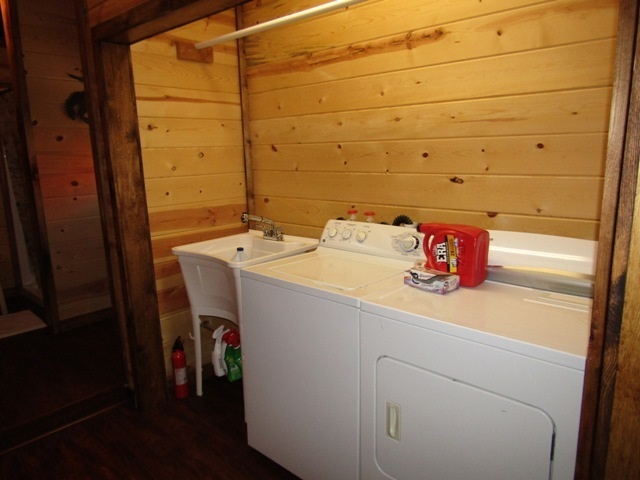 Bath is 10x20 with washer/dryer area. 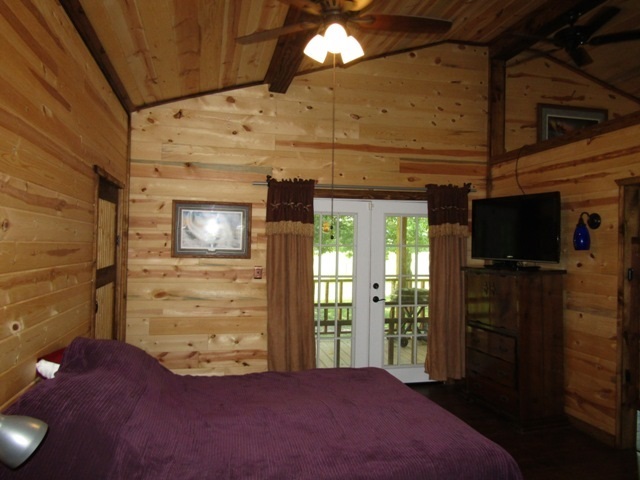 2nd bedroom with access to sitting room and full bath Front and back porches are perfect for outdoor pleasure. 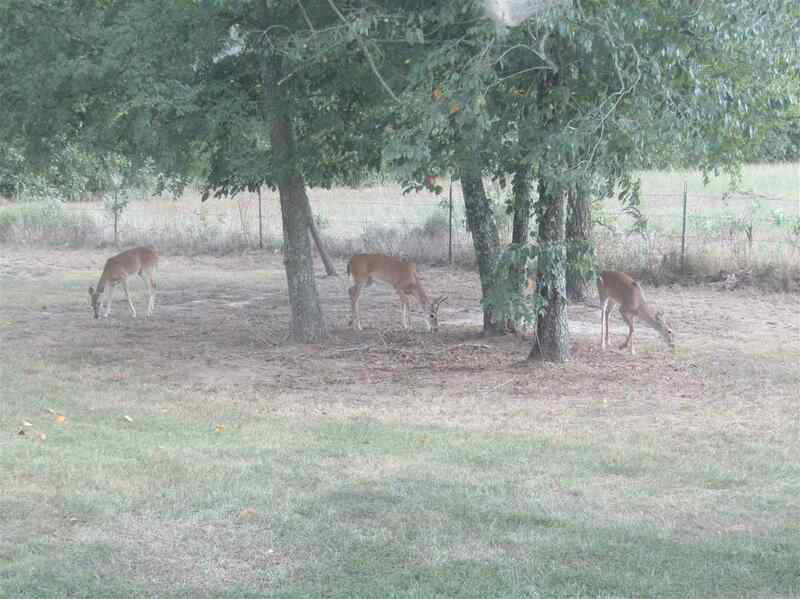 Simple safe alarm system. 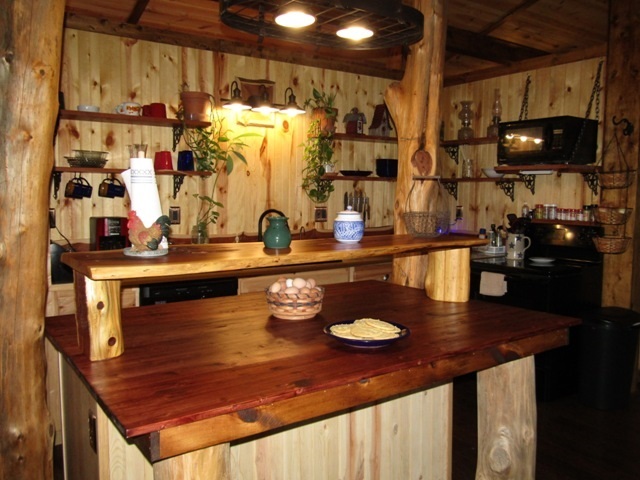 Garden space. 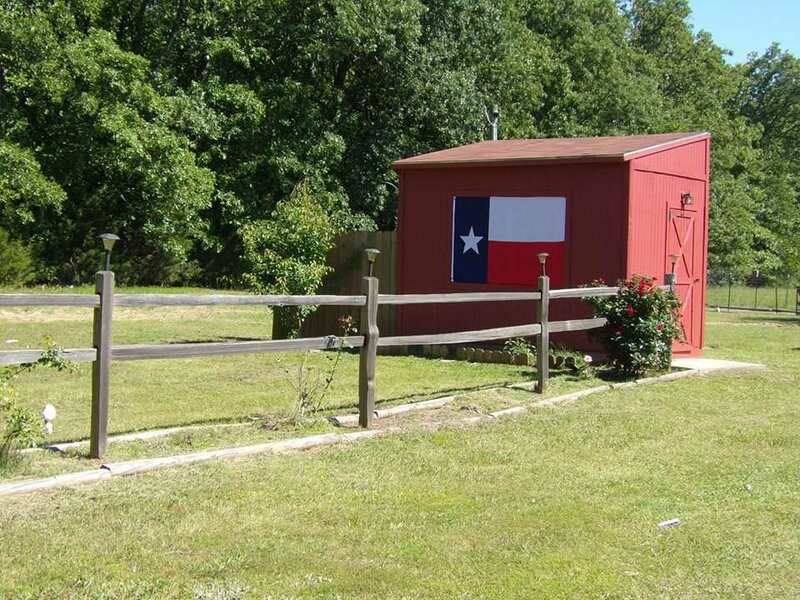 Detached carport. 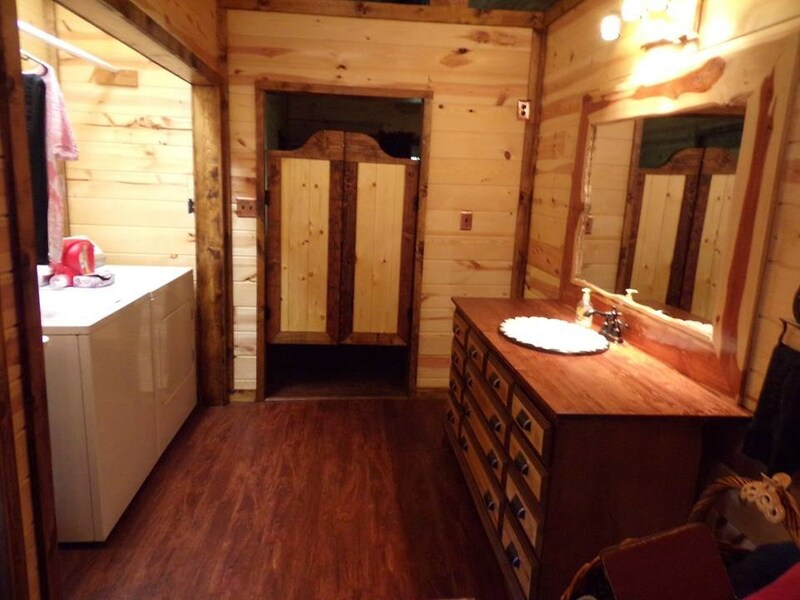 Storage building has power and water. 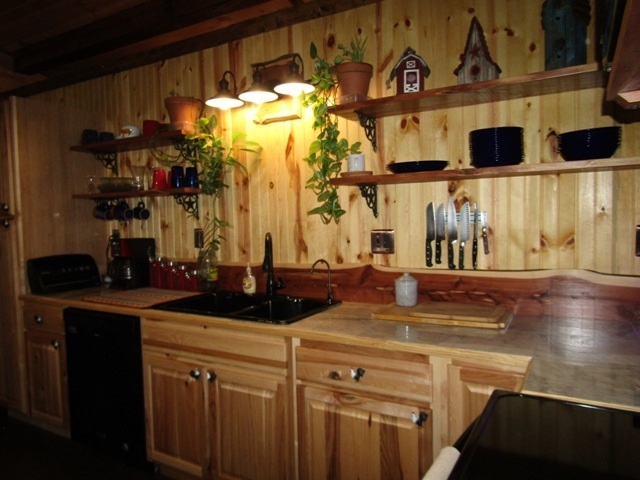 All appliances stay with the sale.